Lead generation is one of the most important areas of business, and whether you’re nurturing a growing SME or a non profit organisation, lead generation is a necessary part of your work. This marketing tool has long been used to generate consumer interest in products or services, and now the core techniques are practiced on the web. Digital lead generation is something which can help your business grow in a cost effective and up to date way. There are many ways to conduct lead generation effectively for your company and here we discuss the different types of lead generation marketing within the digital world. Leads are essential to any business, either for building a database of contacts or for generating new sales. Leads can be generated in many different ways, from the various conventional advertising means to the non-paid entry of organic searches through search engines such as Google. But in order to improve leads and sales to the full potential, it is sometimes beneficial to seek the help of a lead generation specialist. Email marketing – this is a vital part of the marketing mix and every company, big or small, should consider the impacts of email marketing. Unlike the high costs of DM (Direct Mail) which is calculated at rates to include each printout, email marketing has no limits. Emails are free, so there are no high overheads on printing or posting. Email marketing is an excellent way of targeting people daily, weekly or monthly and ROI can be tracked easily too. SMS – mobile internet surfing is growing as is the entire mobile device market. The development of smart phones means that people do everything on their mobiles, including shopping, reading, sharing, socialising and many other daily tasks. SMS lead generation allows businesses to contact their target market in a non-intrusive way, when they are on the move. Unlike cold calling or customer service calls, SMS can be received wherever and whenever. Lead capture forms – creating specialist landing pages for offers / special deals or just for a call-back will help you develop a strong list of contacts. Search engine optimisation – this is a natural way of gaining new leads and the first rule is to get yourself noticed on the web. To get your website ranking, it’s important to conduct keyword research and initiate your own intelligent SEO campaign. Campaign management by an experience marketing company is essential if you want fluidity and seamlessness between your digital lead generation and telemarketing campaign. A lead generation and marketing specialist can provide a comprehensive service including data profiling / modelling for the best possible results. These are the many ways to generate leads. I was surprised to see that leads can also be generated through SMS because as practiced we only used email marketing, lead capture forms, SEO, social medias, etc. Well, thanks for the info. It greatly helped. We’ll try SMS lead generation in our campaign if it really works. There are lot more ways that you can generate leads but the information that is provided is great for those that are just getting started. Yes, good post. All is true. Frankly, SMS is not a “new” thing, I think, as it’s been in vogue (and so much regulated) for at least a decade here in Europe. I would add that today, webinars are also a very effective way to get new clients. Moreover, traditional, offline methods are still valid in my opinion (especially radio commercials, radio interviews and featured articles), but this post is about digital strategies…so why not adding the latter in digital forms (podcasts, transcripts,) in a website, too? I would certainly be interested in learning more on how to do lead generation, is there any good teachers around that are willing to show me how it is done? Great Information – Keep up the Great Post. Excellent post Amanda. With the rapid progress of digital technology, it is important to keep up with the trend of generating leads. 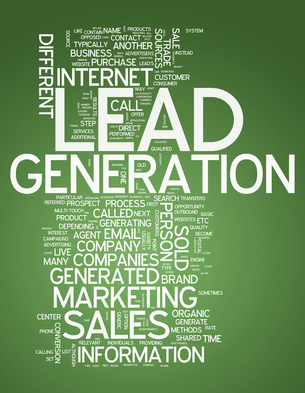 Years ago, leads can only be generated through ads and telemarketing. Now it can be done digitally. Thanks for the write up. Really good. This was good as a refresher, plus now I need to utilize the SMS technology. Thanks for great information. Great article. Its always nice to read others points of view on lead generation. Will definitely have to incorporate some of these into our business.